CHRISTMAS ELEMENT DESIGN: The equisite Christmas earrings creat a heavy festive atmosphere. Not only special for Christmas Day, but also for daily wear, never goes out of style. 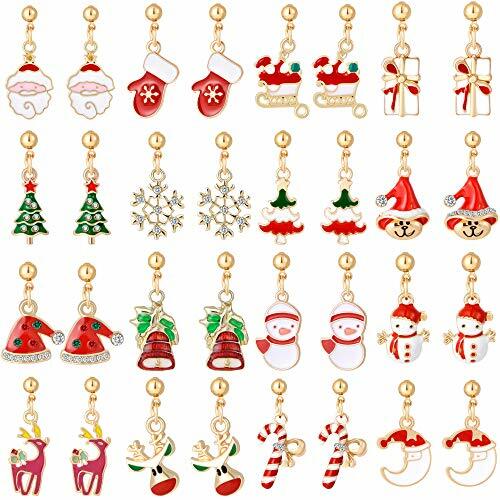 16 designs earrings available, easy to match Christmas costume, be unique on special day.